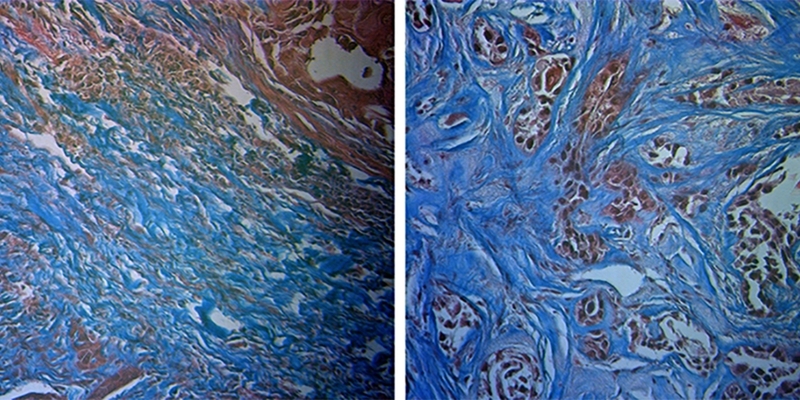 Histological staining shows radiation-sensitive tumor, left, and radiation-resistant tumor, right. The researchers found that following radiation, the amount of collagen (blue) increased to a greater extent in the sensitive tumors. FAYETTEVILLE, Ark. – Researchers have started pilot clinical studies in head and neck cancer patients to determine if Raman spectroscopy, a noninvasive imaging technique, can effectively spare some patients of the toxic side effects of ineffective radiation therapy. Sina Dadgar and Paola Monterroso Diaz, graduate students in biomedical engineering, were lead authors on the study, along with Santosh Paidi, a graduate student at Johns Hopkins University. 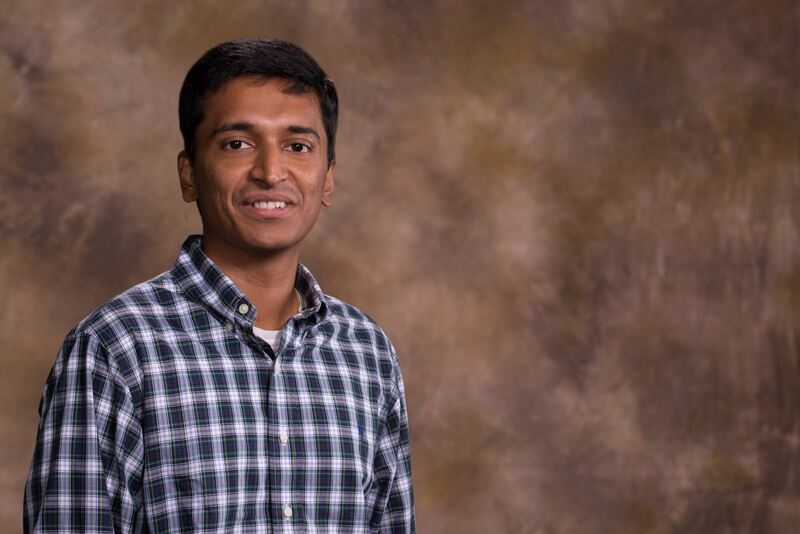 Funding for this study was provided by several sources, including the National Institute of Biomedical Imaging and Bioengineering, the National Institute of General Medical Sciences, the National Cancer Institute and the Arkansas Biosciences Institute.